Laptops have become one of the mandatory amenities in an organization. Owing to its popularity, many organizations are looking forward to invest in a secure storage solution that looks after the safety and security of these office devices. Earlier these electronic devices were stored in the regular lockers that accommodated more than the laptops. With changing times and demands, a storage solution that is specifically designed to take care of these devices have evolved in the market. Apart from storage security, you can now charge them while they are safely locked inside the compartment. Now how do you select the best storage solutions with a charging point for these useful pieces of electronic device? Let me walk you through a few things that needs to be taken care of when you are buying laptop charging lockers for your organization. Read on to find out. Material is yet another important criterion that needs to be considered for the buying process. It is recommended to go with high quality durable steel that will take care of the electronic devices. The compartment should have a proper ventilation to ward off the heat that these devices would generate. Anti-bacterial coating and heat resistant compartment are some of the main features that should not be ignored. The number of compartments has to be decided well in advance so that you do not end up buying too many or too less storage solutions for your employees. Also, you will get to know how tall or how short the locker will be when you decide on the number of compartments that it will accommodate. Make sure that it does not have too many compartments aligned vertically otherwise, it may cause inconvenience for the employees to place the laptops at the top most compartment. The place and position too plays an important role when you head to buy laptop charging lockers. As laptops are an expensive device, place and position of the storage solution plays an important role. Always choose a place that is devoid of constant public intervention or is devoid of humidity. Deciding the place and position comes prior to selecting or finalizing the storage solution. This will help you in selecting a good storage solution. Aesthetics is yet another important factor that will guide you with your decision making process. The size, shape and colour of the locker has to be very well taken care of at the time of buying as they generously contribute to adding to the surrounding’s beauty. The market has a variety of lock types that is designed for the safety and security of the lockers. 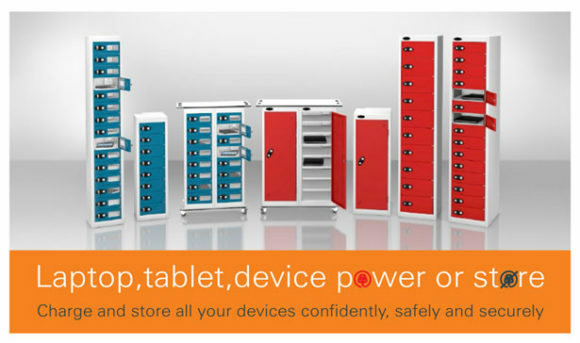 Understand the intensity of the security that these storage solutions require and accordingly make a choice. You have a wide range of options to choose from pad locks to electronic locks. Apart from safety, you also have a look at the convenience factor so that you do not make it difficult for the employees to access their respective compartments to take their laptops. To make the best buy you need to put your hands on the best solution provider. Make a quick research on the vendors that are known for quality storage products and solutions. You can also get collect the reviews and feedbacks and accordingly make a choice. Above-mentioned are a few points that when considered will help you in getting the best of storage solutions at your office premises. Also, you can consult the customers or the people who have already bought the product who have already bought the product so as to make your decision process more clear. Convenience, Cost and Capabilities are the three main factors that needs to be taken into consideration when you are out to buy the best laptop charging locker. This entry was posted on Wednesday, November 14th, 2018 at 8:53 am	and is filed under Laptop Lockers. You can follow any comments to this entry through the RSS 2.0 feed. Responses are currently closed, but you can trackback from your own site.